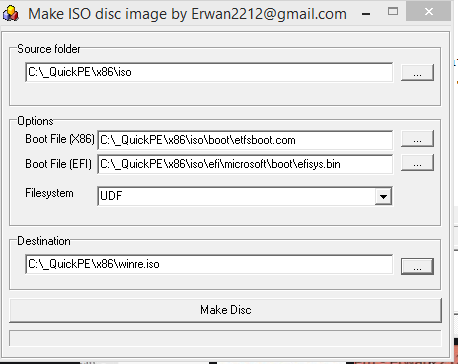 MkIso will create an ISO from a source folder. 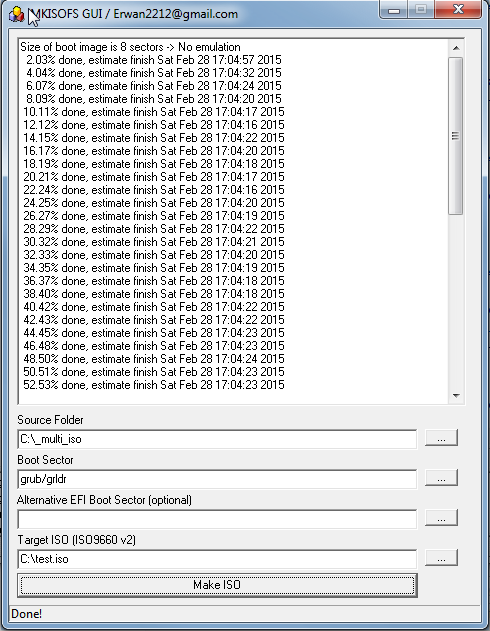 A very simple GUI for the mkisofs command line utility (from cdrtools) to create a bootable iso. The zip file contains grub4dos (0.4.6) and isolinux (6.0.3) bootloaders with example menus.